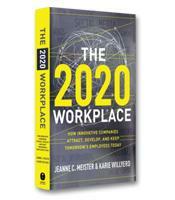 Jeanne Meister and Kevin Mulcahy, two of today’s leading voices on the future of work, present an actionable framework for meeting today’s toughest business disruptions head-on. 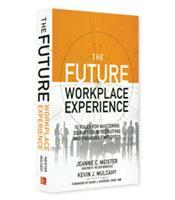 The Future Workplace Experience provides 10 rules for rethinking, reimagining, and reinventing your organization including Make the Workplace an Experience, Be an Agile Leader, Consider Technology an Enabler and Disruptor, Embrace On-Demand learning, Tap the Power of Multiple Generations, and Plan for More Gig Economy Workers. You’ll gain a step-by-step process of recruiting top employees and building an engaged culture - one that will drive your company to long term success. The 10 rules to help your organization recruit and engage the best employees. What workers expect from work and how and why companies are creating employee experiences to mirror their best customer experiences. How technology transforms the workplace and can be both an enabler and a disruptor. The changing composition of the workforce driven by gender, generation and the gig economy.